This is a great looking original Civil War soldier’s belt and buckle. You can tell that the soldier used this which gave it a wonderful look. 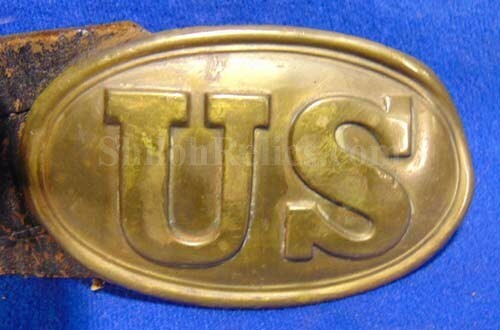 It has a fine original U.S. belt buckle with letters that stand out for a great look. On the back of the plate it has all three of the belt hooks remaining. 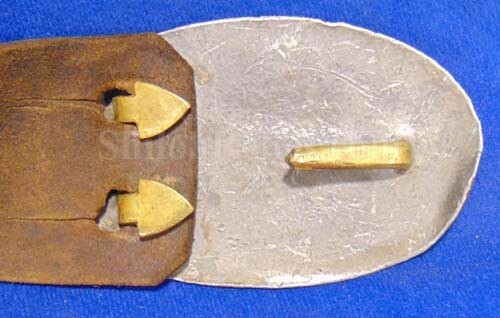 This is the style that has the arrow style hooks on the back of the buckle. The buckle is accompanied by an original black bridle leather belt that has the attractive black color. 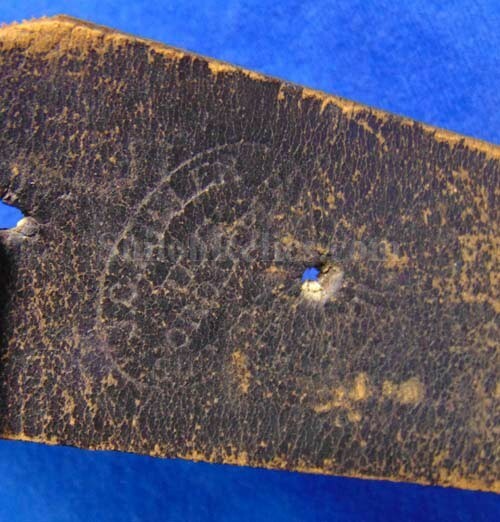 The original brass leather adjuster is missing in action. Near the buckle you can see the oval stamping from the U.S. Ordnance Department sub-inspector J.G. Miller. He was the man that approved the belt for military service. 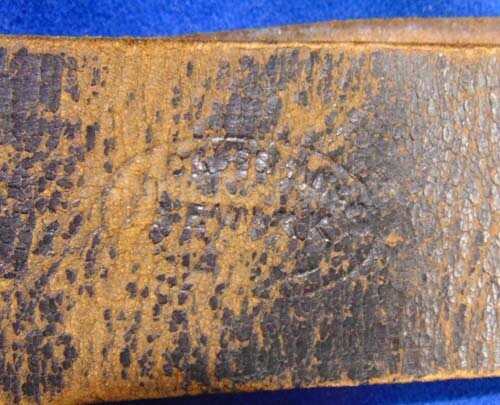 The other stamp is the marking of the Newark, New Jersey manufacturer, Edwin A. Crossman. The book shows that in 1864-65 he had a Government contract to make 15,000 sets of infantry accoutrements. This would be one of those 15,000 sets. 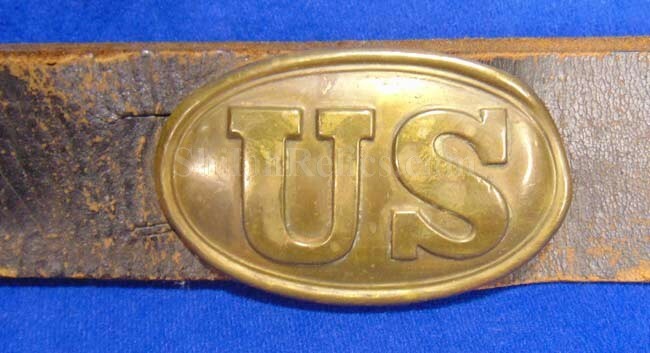 This is a fine looking authentic Civil War U.S. belt and buckle with clear maker and inspector marks.